Current Fed policy will push the U.S. economy to the brink of recession, possibly by later this year. When that happens, the Fed will have to reverse course and ease monetary policy. Meanwhile, the economic cheerleaders recite recent GDP figures and the stimulative effects of the Trump tax cuts. Strong quarters have been followed by much weaker quarters within six months on six separate occasions in the past nine years. There’s no reason to believe this time will be any different. This expansion has been extraordinarily long — over 30% longer than average — indicating that a recession should be expected sooner rather than later. Into this mix of weak growth comes the Federal Reserve, which is tightening monetary policy, reducing the base money supply and supporting a strong dollar. All of these policies are associated with slower growth ahead and a high probability of recession. And that’s the key. You have to have models that accord to the new reality, not the old. Wall Street is still going by the old model. The new reality is that the Fed basically missed a whole cycle. They should have raised rates in 2009, 2010 and 2011. Economic growth was not powerful. In fact it was fairly weak. But it was still the early stage of a growth cycle. If they had raised rates, many would have grumbled, the stock market would have hit a speed bump, but it wouldn’t have been the end of the world. Now we’re at a very delicate point, because the Fed missed the opportunity to raise rates all those years ago. They’re trying to play catch-up, and its June rate hike was the seventh rate hike since December 2015. But if a recession arrives in a few months, how is the Fed going to cut rates 3% if they’re only around 2%? The Fed is hiking rates because it’s desperate to catch up with the fact that Bernanke skipped a whole cycle in 2009, 2010 and 2011. So as usual, Wall Street is reading the signals exactly backwards. The Fed’s actually tightening into weakness. After June’s hike, the Fed still has four rate hikes to reach 3%. 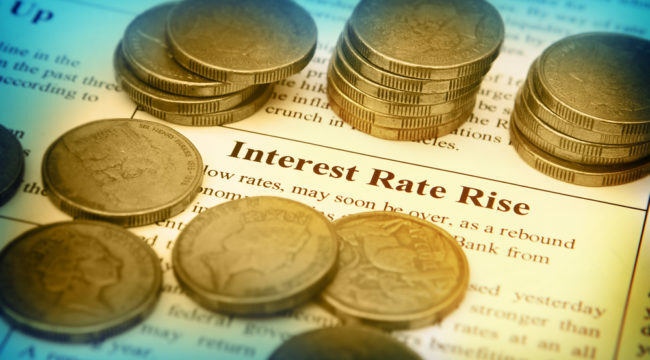 It will likely raise rates at this month’s meeting as well, which kicks off in two weeks. But at this rate, the mission won’t likely be accomplished until June 2019. The Fed wants 2% inflation. It hasn’t been able to consistently attain it, but it’s been getting close. But if that figure drops to, say, 1.4%, that’s another reason to hit the pause button. Unless any of these three conditions materialize, the Fed intends to raise rates four times a year, every other meeting, until the middle of 2019. If any one of those three things happen along the way, the Fed will probably hit the pause button. If all three happen, it will definitely pause. But for now the Fed remains on course, is tightening into weakness, and will have to backtrack once it helps bring about the recession it’s trying to avoid. Unfortunately, it’ll probably be too late.